I recently returned from AT&T’s Developer Summit & Hackathon. This was a developer training and social event directed toward new applications enabled by device connectivity including home automation, wearable devices, wireless telemetry, and “Smart Cities”. This area, sometimes called the Internet Of Things, is fostering collection of data related to many aspects of environment, commerce, health, and transportation. I set out to write a brief trip report and I have to apologize in advance because this subject triggered some passions. This one “broke off the leash”. Crowd sourced temperature and humidity readings from privately operated devices with weather sensors (cars, consumer electronics). Retail store refrigerator case status. Cars observing a rapid transition through the freezing point, under wet conditions could trigger icy road warnings specific to individual curves in the road. Public transportation could actively adjust capacity and routing based a live demand. Gartner’s forecast is smaller than ABI’s, but still, the predicted device count is a multiple of the world’s population. If forecasts are even remotely true, this will have huge impacts, not just on the IT industry, but on non-IT industries. Think back on the impact of the internet and cell phone connectivity over the past two decades. Huge companies have been forged from nothing more than people and ideas. Others have been swept from market leader to extinction. It is obvious that connectivity (IOT) will fundamentally change the way the “things” are built. IOT is going to generate way more data than we have today. Even a tiny device can generate a huge amount of data. And we will have lots of devices. Tiny devices, are not going to hold data for long. The devices will forward data to storage in internet connected remote data centers. This will boost demand for data center storage. Data in the cloud will beget an environment conducive to data analysis in the cloud. This will boost demand for data center compute capacity. User interaction requirements will drive demand for applications that provide user interface for configuration and display. These applications will run on connected devices, or on general purpose devices like smartphones. It’s likely that the same cloud hosting the data and analysis, will be suitable for hosting the mobile device applications that use the data. Some control loops, such as those demanding low latency, and extremely high security and availability, should run at the local site. However there are plenty of applications are suited to remote cloud execution. Examples: furnace/AC filter life monitoring; vehicle brake pad wear prediction based on accelerometer measurement of driving pattern. There will be both local and cloud hosted apps. There will be a Metcalfe’s Law effect with cloud hosted IOT data. cantbewong’s adjunct to MetCalfe’s Law: cloud value is proportional to the square of the number of IOT data connections. When you live in the most popular cloud, you will have lower latency access to the universe of other data you interact with, without adding an addition point of failure. Hosting for IOT data has aspects of a “winner takes all” poker game. Ultimately, IOT will drive demands for carrier bandwidth, and cloud hosting business. Cloud hosting will include data storage, data analysis, and application hosting and delivery. Existing companies who ignore an IOT strategy do this at peril of their lives. Basis of argument: Look at what internet version 1 did to the retail, music selling, video and IT industries. I came away from this conference with the impression that AT&T is in full “land grab” mode for this opportunity. What actually surprises me is how few other technology companies seem to be making strategic commitments in this sector. The technology choices include connectivity (WiFi, vs cellular) and cloud hosts (APIs, analytic services, application delivery services). Embedded devices are not updated frequently, or in an easy risk-free fashion. WiFi and cellular data networks are currently the leading candidates for device connectivity. Resiliency, power consumption, and widespread geographic availability tends to make cellular attractive for battery operated and roaming mobile devices. Ford announced an exclusive multi-year agreement that will result in connectivity of all new Ford vehicles sold in the US and Canada by 2020. 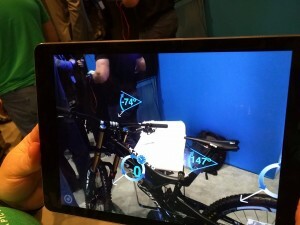 On the expo floor, I saw an intriguing demo of an augmented reality enhancement to a mountain bike. Force, strain and angle sensors were installed on the bike. Sensor readings could be superimposed on live video of the bike while in operation. This is useful as design tool for bike engineers, showing actual dynamic loads under real use conditions. The first 2 days of the conference were devoted to a hands on Hackathon competition. I expected something like the Hackathon events that have been held at other conferences I have attended, such as Linuxcon. These generally involve participants encouraged to develop code for an open source project and award a Raspberry Pi or Arduino to the winner. The AT&T event’s Hackathon was in a different league. Over $100,000 in cash was awarded, along with $100K’s of additional amounts in hardware. Many vendors of embedded system hardware and home automation were present, not just AT&T. Sponsors included Samsung Smart Things and Amazon Alexa. I quickly realized I would be at a disadvantage, arriving as a solo contestant – many arrived in organized teams, with advance preparation. The Hackathon event attendance was bigger than some whole tech conferences. I’m guessing over 700 people. When I registered, I wasn’t paying attention to the Hackathon details, and enrolled for the educational value. I did not come away disappointed and I had a great time. 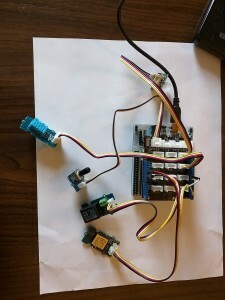 I decided to build an attic fan controller that operates based on interior temperature/humidity and exterior conditions, including weather forecasts obtained via REST API over wireless connection. My device logged all operational data to the AT&T cloud using their M2X API. This data was viewable from a smartphone. In assembling my prototype I felt like a kid at the free candy store. Vendors contributed hardware, sensors, and live support for the asking. The Mbed (ARM) booth was particularly helpful. In the end, I got to keep all the hardware. I think the DIRECTV developer boxes, and Digital Life security systems were the only exceptions to the take-it-home offer. I ended up learning so much in the Hackathon experience, that the API sessions during the main conference seemed repetitive. My summary review for the Hackathon is: If you are a hands-on hardware + software developer, and they hold another one, you should go. I got to try out the Occulus powered Gear VR at the conference. 3D headset technology gets a lot of press, but I think that some of the home automation hardware might be even more disruptive in terms of enabling applications, and displacing incumbent vendors. The early generation home automation hardware optimized for cost. As home automation moves applications such as door lock control, fire detection and intrusion detection, devices are getting better. UL compliance in this arena requires battery backup, security, including anti-jamming mitigation, and supervision. This will start out “good enough” for the consumer market, with very low prices compared to what is currently used in industrial markets such as SCADA. This has the earmarks of a classic Clayton Christensen style market disruption. I used to work in the industrial control business, and I can tell you that industry has been clinging to a combination of ancient legacy data communication technologies, along with dubiously implemented security. You often here users make the claim that “my network is safe because it is isolated from the Internet”. But if your user interface stations are based on Windows, and other software, keeping this security patched over an air gap is problematic. We live in a real world where your own employees are subject to foibles, and even terrorist recruitment. An internet isolation breach is just a routing accident or a tethered cell phone away. How well is this working now?, not very well according to the US government CERT team. It might be time to end the failing attempt to air gap SCADA systems, and put in place technology that keeps them safe even while a path to the Internet exists. I think it’s likely that the R&D investments and economies of scale of IOT hardware and firmware components will displace moribund industrial sensor and control technologies. Big Data is sometimes described as a data set that is so big or so large that traditional data processing tools are inadequate. If you think your current data is big, wait till you see what IOT is going to unleash – I am going to call it Big Data². 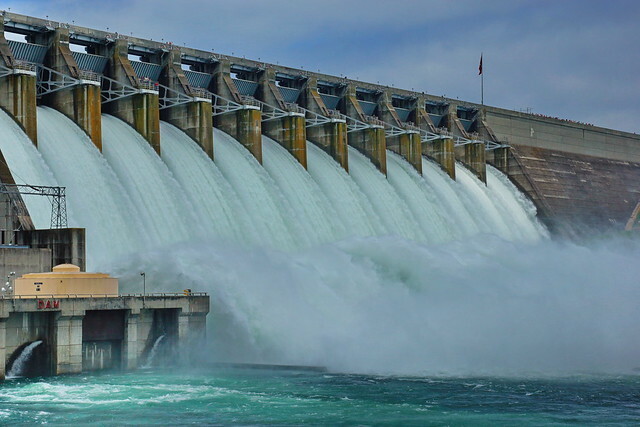 If Big Data is a fire hose, Big Data² is a dam overflowing the spillways – this is going to drive the creation of new technologies. Growing up with internet entertainment and social networks has shaped the defining characteristics of the millennial generation. The internet usurped the role of video, music, and news delivery. The internet and cell phones usurped the role of written letters and landline calls. Internet hosting of written documents fostered demand for search, resulting in the formation of Google. When you look at the internet of things, it is poised to collect and host data related to environment, health, transportation, public, and private infrastructure. But it will go beyond simple data collection. It will also host analysis and reactions to this data. In short, it is poised to become the nervous system for society. As an IOT grid drives control loops for commerce, transportation and public safety, it will become a target for mischief, criminals, and terrorists. It will be important that the system is highly availability and protected from tampering. There is great opportunity to improve the quality of life for citizenry, but it should not be squandered by careless house-of-cards solutions. High availability, security, resistance to denial of service attacks, and protection against data forgery and tampering are all important. We are sharing city data with the public to increase transparency, accountability and customer service and to empower companies, individuals and non-profit organizations with the ability to harness a vast array of useful information to improve life in our city. I hope that this data will help drive innovation and problem solving within the public and private sectors and that Angelenos will use it to more deeply understand and engage with their city. I encourage you to explore data.lacity.org to conduct research, develop apps or simply to poke around. This has the potential for real good, but it also has the potential to become politically charged. Much of the data related to government services could be interpreted as a “report card” for elected officials. There will be temptations to manipulate or restrict data. There are already examples of government attacks on independently gathered data that predate IOT. The Fukushima nuclear disaster, and Flint, Michigan water contamination incident show that independent data sources can have great value. When a Flint doctor submitted data showing high blood lead levels in toddlers, “the state publicly denounced her work, saying she was causing near hysteria”. When Sean Bonner, entrepreneur and co-founder of the Los Angeles hackerspace, Crash Space, found that no meaningful radiation measurement were being made available by the Japanese government, he started a revolutionary movement to commission an army of volunteers to construct instrumentation, and crowd source data collection. The SAFECAST organization was born. The internet may have deprecated newspapers and even the printing press, but open flow of data needs to be viewed as the modern form of Freedom of the Press. There is much professionally organized PR about wondrous benefits of IOT, enabling self driving cars, to lower traffic congestion and provide transportation for the disabled. Lurking skepticism , leads me to suspect that taxation and revenue generation will be what really drives the IOT discussions in smoke filled rooms of government planners. You can already observe that some of the same cities that criticize Uber for surge pricing, are eager to deploy parking meters that adjust for time of day supply demand imbalances. Just as an example of an unforeseen outcome, I can envision high parking prices inducing owners of self driving cars to command their vehicle to circle the neighborhood, empty, to avoid high parking prices. Outcome: self driving cars lead to more, not less traffic congestion. Likely second move on chessboard: Track vehicle usage, and charge by the mile, with surcharges in congested areas (“surge” pricing?). Whenever “Smart Cities” involves revenue generation, cat and mouse arms races will be inspired. Some of these battles will become political “hot potatoes”. IOT is going to disrupt the world. It’s not a question of if, but how much, and how soon. Government agencies, and entrenched interests will occasionally feel threatened by IOT. Open source software has benefited the world at large, but at times pressured commercial interests. Open data will do the same. There is a great opportunity at stake. It will be important to establish a broad-based perception that data should be unrestricted. There should be no restriction on publication of legally obtained data. Data collected by government entities, or at government expense, should be published with open and free access, in raw form, without subjective post processing or manipulation. Those who corrupt data, or interfere with its availability, including government, will be subject to criminal prosecution. The people have a right to be secure in their homes, personal effects and information stores. As such, government shall be prohibited from compelling publication, or seizing, private data without a court order based on probable cause. You cannot be compelled to publish a data source coming from within your home. I am hoping that watch dogs, like the EFF, will be there to protect the public interest. But, the technology here is complex. It is really up to technologists, such as those who I hope read this blog, to educate and inform the public, and those in public service. Everyone in the technology field stands to benefit personally, and perhaps even career-wise. Community contribution on a technical, educational, and political basis will be needed to allow the IOT opportunity to deliver its full potential. If it does this, it can improve transportation, safety, healthcare, and the environment. It can also boost productivity and the economy. In short, it can raise the quality of life. Features are included, that you, as a unique individual customer, will never use. If you are a service provider, Amazon, or Twitter, for example, you likely have some specialized needs that are not common to the typical customer. Open source gives you the ability to add missing features, or change the implementation of features that are already there. Surplus features have a cost in resource usage, and in bug exposure. More lines of code = higher probability of bugs. More code also brings a higher security risk exposure. Open source gives you a starting point, from which you can potentially remove code associated with unwanted features. Suppose doing this removes 5% of memory usage, and removes a library with chronic patch requirements. This small difference wouldn’t concern a small business running a single instance. But if you are a service provider, running 1,000s of instances 24 by 7, getting rid of the fat is attractive. Commercial software is commonly bundled with a time limited support agreement. There will always be some subset of users that don’t even make an attempt to read documentation. This frequently results in a tiered support arrangement where a picket line of lesser skilled individuals filters out RTFM1 inquiries. If your organization is staffed with skilled and trained users, you could well have higher caliber people using the product, than those staffing the vendor’s support organization. Self-help, with access to source code might resolve problems faster, and more effectively than paid support. Source code access is somewhat analogous to having a car maker publish technical service manuals. Just because the service manual is available, doesn’t mean that you have to fix the car yourself. Most people still elect to get car service from the manufacturer. Odds are, you also have the option of using a third party repair shop. And if you are technically inclined, and have the time, you retain the option to try to fix it yourself. There are vendors that publish source and still offer paid support. Even if you elect to take advantage of the paid support, the availability of the source can be useful to those on your staff that are technically advanced. Depending on the open source licensing terms, it might also cultivate a vigorous community of third party tools, extensions, and collateral documentation. Companies don’t usually live forever. And even if they are still around, product lines can be dropped or sold off. Take Windows XP as an example. In spite of a large user base, Microsoft elected to drop conventional support, and halt new sales of the software. Let’s assume that this decision was warranted, because the internal architecture was so technologically obsolete that attempts to secure the OS would amount to a complete rewrite anyway. There could still be unfortunate users, who have applications that depend on XP – and are comfortable that they constrain it to a partitioned environment that mitigates the risks. Open source at least offers the option of supporting abandoned software by yourself, through a third party, or with a community of users with a similar interest. Vendors of commercial software, facing an open source competitor, have been known to offer the adage: “It’s only free if your time is worth nothing”1 – implying that use of open source is tantamount to declaring yourself worthless. Unless the software is a virus, you have to install it. Often you have to configure it. Unless the version you install never has a bug fix, and never has an enhancement, you will engage in some form of maintenance. There are examples of open source software that are cheaper, or the same cost as commercial substitutes. But there are also open source specimens that have huge learning curves and operational costs. As the 24×7 support person for my family at large, I can attest that the Firefox browser is as “free” as a commercial alternative such as Internet Explorer. My mom or my dad can install it, and use it, without help. But that doesn’t mean I’d extrapolate this result to something like a non-commercial distribution of OpenStack. Popularity usually results in vigorous community driven expenditure on features, including ease of use and documentation, leading to lower cost of ownership. 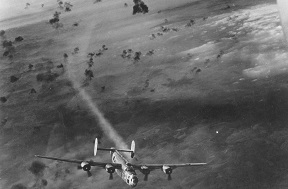 Even if an open source software offering is relatively expensive to deploy and operate, sometimes the proper response from a user should be “So what”. Users are willing to spend any amount of money to save time and labor cost. Users who are will to spend any amount of labor and time to save licensing cost. In other words, for some number of users, the response to “Is it free?” is “So what, I don’t care”. If you have a high margin, business, with no desire to manage a larger IT staff. Acquisition price might be a minor consideration. If you are an education institution, with a near zero budget, and lots of cheap labor (=students), free licensing might be your only viable solution.